When a local woman begins searching for a couple she hasn’t seen since the 1960s, Redwood Cove Bed and Breakfast manager Kelly Jackson and the crime-solving group, the “Silver Sentinels,” are quick to help out. They’re also quick to guess that they’re in over their heads after the woman is found dead beside the body of a Greek fortune teller—and a fellow Sentinel gets attacked. 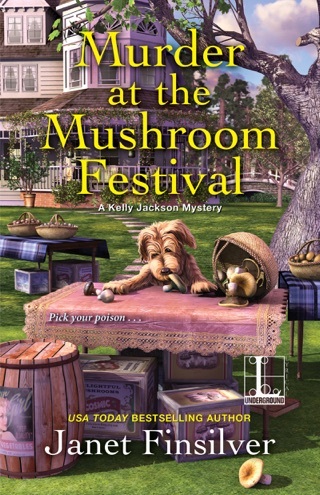 As Kelly juggles work and her responsibilities at a food and wine festival in town, she and her sleuthing posse must confront a killer obsessed with old secrets . . . and solve a murder mystery more than fifty years in the making . 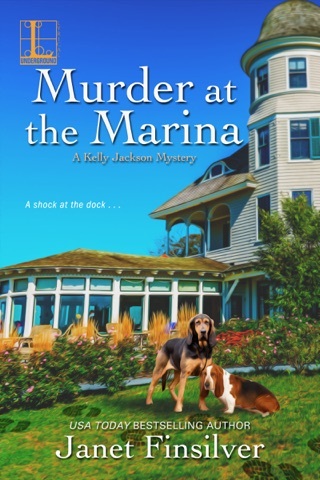 . .
Third book in A Kelly Jackson Mystery series! Murder at the Fortune Teller’s Table by Janet Finsilver is third book in A Kelly Jackson Mystery series. 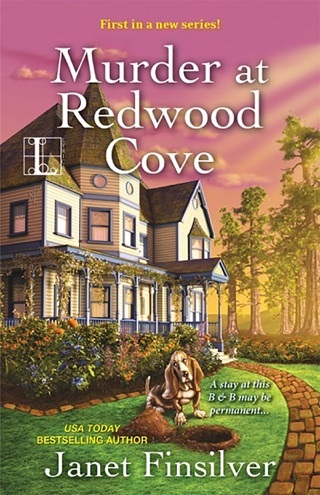 Kelly Jackson is the manager of the Redwood Cove Bed-and-Breakfast in Redwood Cove, California. Kelly is attending the local school’s annual fundraiser (and get to know your school event). She notices a woman come away from the fortune teller’s booth very upset and leaning on the arm of her son. The woman Amy “Summer” Winter later approaches Kelly and asks for a meeting with the Silver Sentinels. At the meeting, Summer explains that she needs two people found that she has not seen since 1967. Summer is able provides the group with the names, Diane Morgan and Ken Nelsen, but no further usable information (not even why she is looking for them). With a little computer sleuthing, the group is able to give Summer current addresses of Diane and Ken. It turns out that Mark, Summer’s son, is not her biological child. Mark is ill and needs a donor. After Auntie, the Greek fortune teller, saw the evil eye and stated that someone will die, Summer felt the need to urgently contact Mark’s biological parents for assistance. Kelly arranges for Ken Nelsen, his family and Diane to get a free weekend at the B and B courtesy of an anonymous benefactor. Summer does not want them to know it is her until after they arrive. They just have to agree to a meeting with the benefactor. The next day Mary is attacked in her home, and it is blamed on the Lunch Thief that has been plaguing the area. But then Summer and Auntie (the fortune teller) are found dead in Auntie’s home. The Silver Sentinels do not agree with the police ruling on the cause of death and start seeking answers. The killer does not appreciate Kelly’s pursuit of answers and sets out to stop her. Murder at the Fortune Teller’s Table is an easy to read book that is nicely written. I like the characters, though, I wish there were not so many of them. I do admit that it is hard to keep track of all the various characters. There is Kelly, the Silver Sentinels, the staff of the Redwood Cove Bed and Breakfast, Helen’s son, the dog, plus others (from a sister B&B and townspeople). It was nice to see some growth in Kelly’s character at the end of the novel. I give Murder at the Fortune Teller’s Table 3.5 out of 5 stars. I thought the mystery was interesting, and I do not believe that all readers will be able to identify the perpetrator. I picked out the person I thought was the culprit and then read to see if I was right. The mystery has several suspects and any one of them could easily be the killer. Then there is the mystery of the Lunch Time thief. He only attacks homes during the week at lunch time. I did appreciate how everything was wrapped up in the end. There was one more storyline included in this book that I found captivating. It is how dogs are being trained to help veterans with PTSD. Michael Corrigan, owner of Resorts International, is setting up a facility to help veterans. It is amazing what dogs are capable of with a little training. There is also a dog (a Chihuahua) trained to help a hearing-impaired woman. While Murder at the Fortune Teller’s Table is the third book in the series, it can be read alone. All the necessary background information is provided. Each book in the series is better than the last (I liked this one better than the previous two). 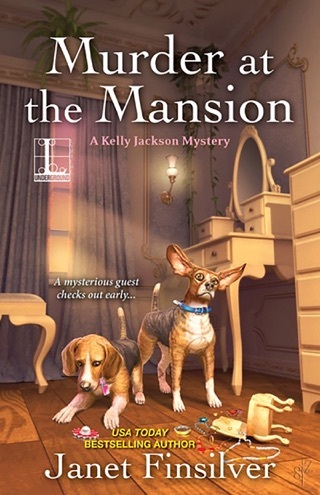 I will be reading the next book in A Kelly Jackson Mystery series. 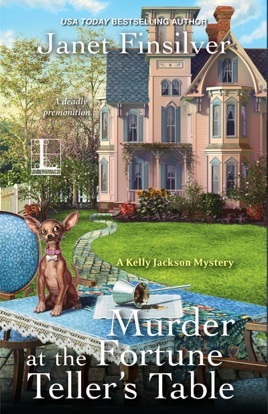 Murder at the Fortune Teller's Table is the third book in Janet Finsilver's Kelly Jackson Mystery series. Local resident Amy Winters approaches crime solving group the "Silver Sentinels" with the unusual request to help her track down two people she knew only briefly fifty years ago. When the group locates them, Amy asks Redwood Cove Bed and Breakfast manager Kelly Jackson to invite both to an all expenses paid weekend at the B & B. Before this weekend when Amy plans to tell all, she and a local mystical Greek fortune teller affectionately known as Auntie are found poisoned. At first it is thought to be accidental, that Auntie confused hemlock with another herb, brewing the fatal tea. But it soon becomes apparent that is not the case. As Kelly and the sentinels delve deeper, and as the wine and food festival blossoms at the Botanical Gardens, the killer makes moves to remove Kelly and her questioning ways. Will Kelly succeed in thwarting these attempts and unmask the killer? You must read to the very end to unravel this mystery. This is a good series, in beautifully described settings with interesting, sometimes quirky characters. I do recommend this book.